February has been a very eventful month for us in junior high and March looks busy as well. For the past several weeks we have been learning about democracy and the great Greek philosopher Socrates. In language arts we are just completing our Lord of the Flies novel study and we are going to be finishing it off by taking part in several Socratic Seminars. Last week we watched the movie and compared it to the book and we feel that the book was better and it is a book we highly recommend. 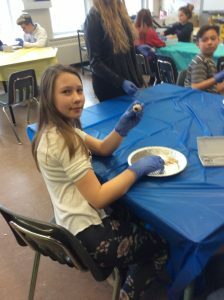 As a part of our science program, the grade sevens have made several trips to the Inner City Science Lab where they had the opportunity to work in a real lab for the day. 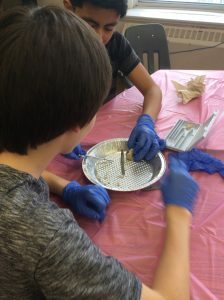 In our light and optics unit, we conducted a number of experiments such as dissecting a pig’s eye and testing a variety of lenses. 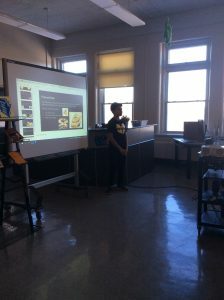 In the beginning of February, we began a second session of Genius Hour. This time around we have two options, we can either do another passion project, or try our hand at designing a new marketable product. 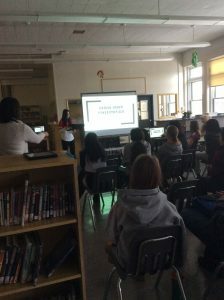 In February, both Kelvin and Grant Park came and made a presentation to our grade eight students about how high school works and how to register. We also began some exam preps. 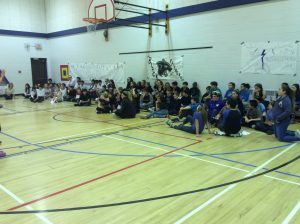 The most exciting part of the month was our Gym Riot event which took place on February 23rd and involved all students from grades five to eight. We were divided into three teams and each team had to come up with a team name, a team colour, a chant and a poster that every member had to sign. 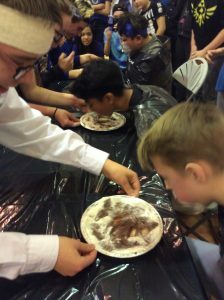 Our teams were named the Black Panthers, the Blue Lightning and the White Marshmallows.Some of our favourite events were the art contest and the pie eating contest. At the end of the day the Black Panthers were victorious and were treated to a pizza party. Room 15: Learning About The Seven Teachings – Love	Room 28’s Amazing February!